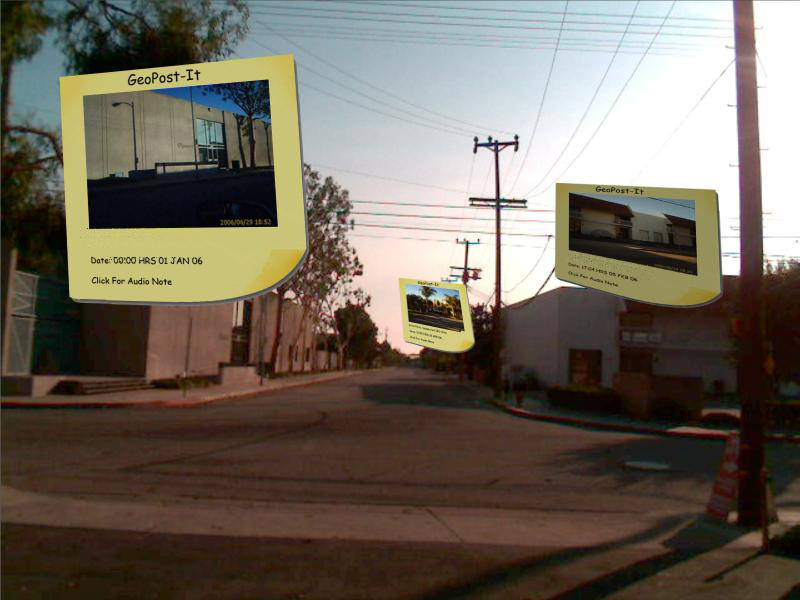 As part of my “Geo Post It” notes project, a proof of concept prototype was developed to view the notes overlaid on their real world locations through augmented reality binoculars. 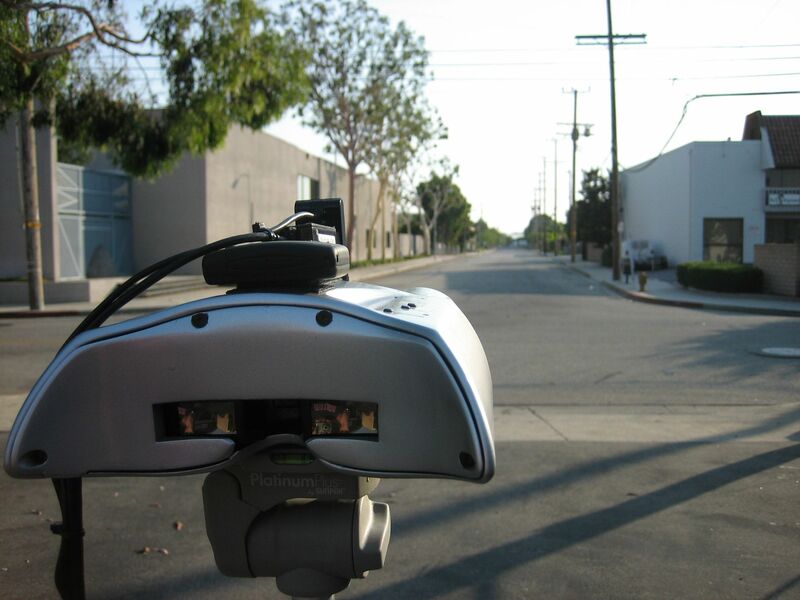 The system consisted of 5DT Virtual Binoculars connected to a tablet PC running AR software developed by Anton Treskunov. Video see through AR capabilities were added to the binoculars through the use of a front mounted camera. 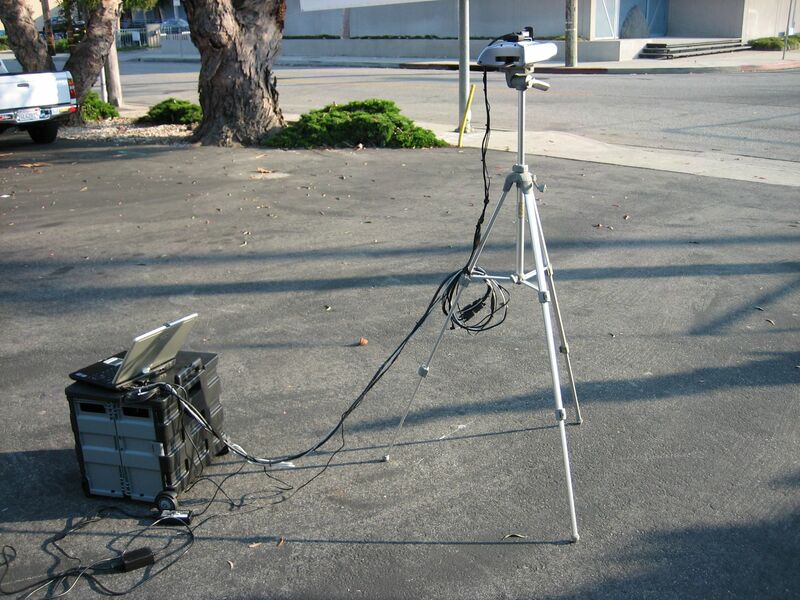 To simplify tracking and registration issues, the system was designed to be used on a stationary tripod. 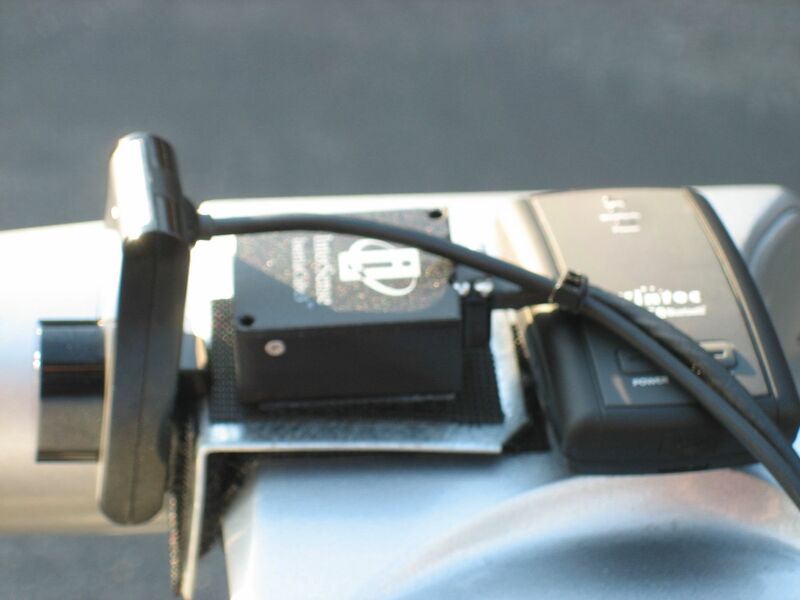 A Bluetooth GPS unit and an Intersense Inertiacube were mounted to the binoculars’ case. 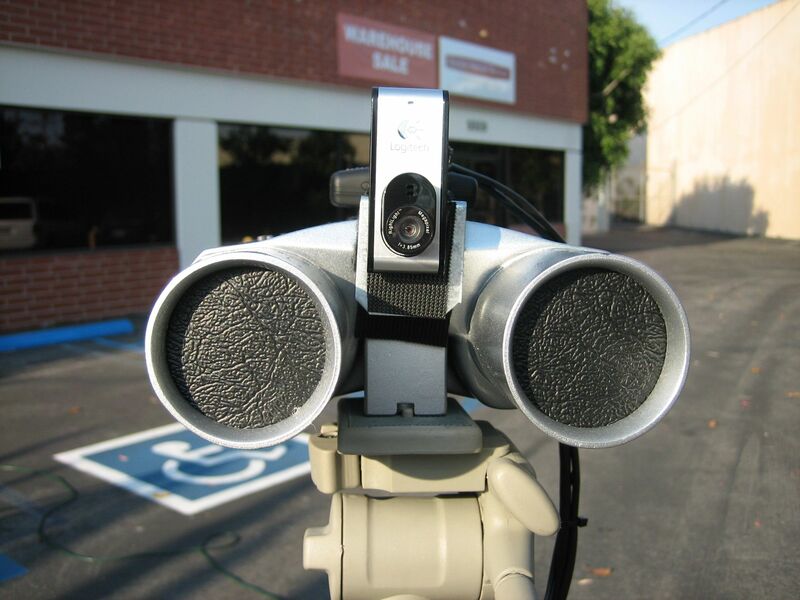 These sensors were intended to provide position and orientation data though they were not functionally integrated into the proof of concept prototype. In the years following this project, mobile phone chipsets became available which incorporated accelerometers, GPS receivers, and compasses. Consequently, smartphones with these sensors emerged which could reproduce many of the capabilities illustrated in this prototype. The concept behind the AR binoculars can now be seen in world browser apps such as Layar, Wikitude, and Junaio.